Hear the studio version of “Right Now” ahead of the July 7 release. 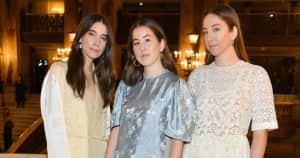 Haim is gearing up to release its long-awaited follow up to their 201 debut Days Are Gone. The new album, titled Something To Tell You, will be released on July 7. That's the artwork for the album above. As Pitchfork notes, the band has confirmed full details of the record, including its tracklist and a studio version of "Right Now." Haim first debuted "Right Now" with a live studio video directed by Paul Thomas Anderson back in April. Something To Tell You was produced by Ariel Rechtshaid and also features the new single “Want You Back.” The group appears on Saturday Night Live on May 13.